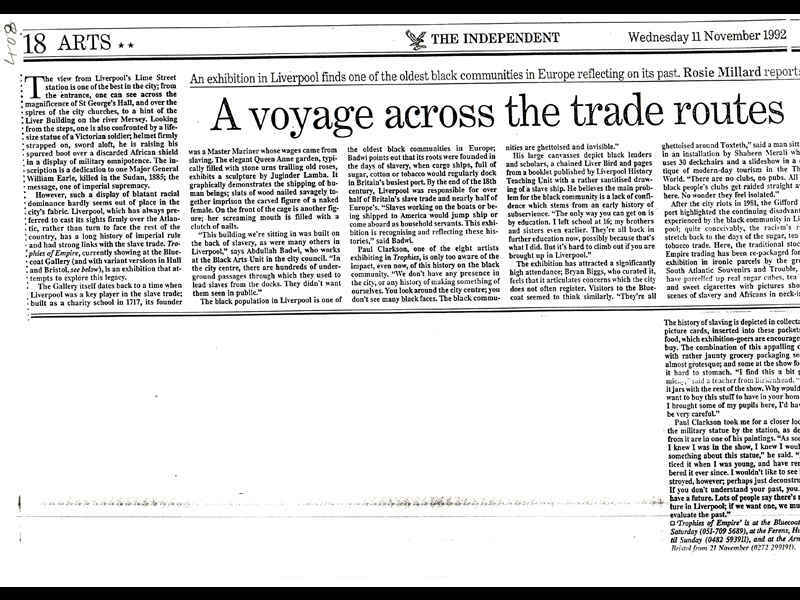 Subtitle: An exhibition in Liverpool finds one of the oldest black communities in Europe reflecting on its past. 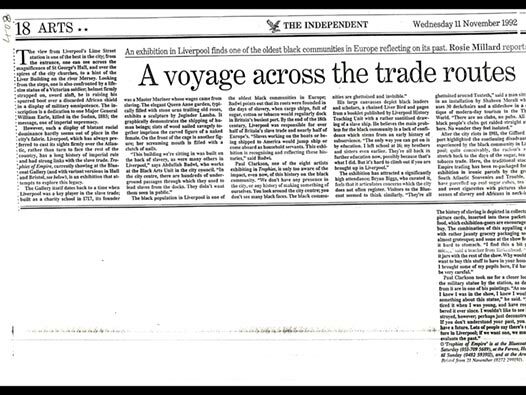 Rosie Millard reports. 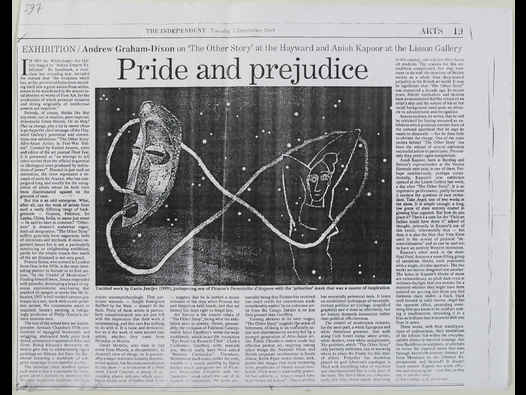 Single sheet A3 landscape/monochrome photocopy from original/Review from The Independent, Tuesday 5 December, 1989 - Arts Section p.19. 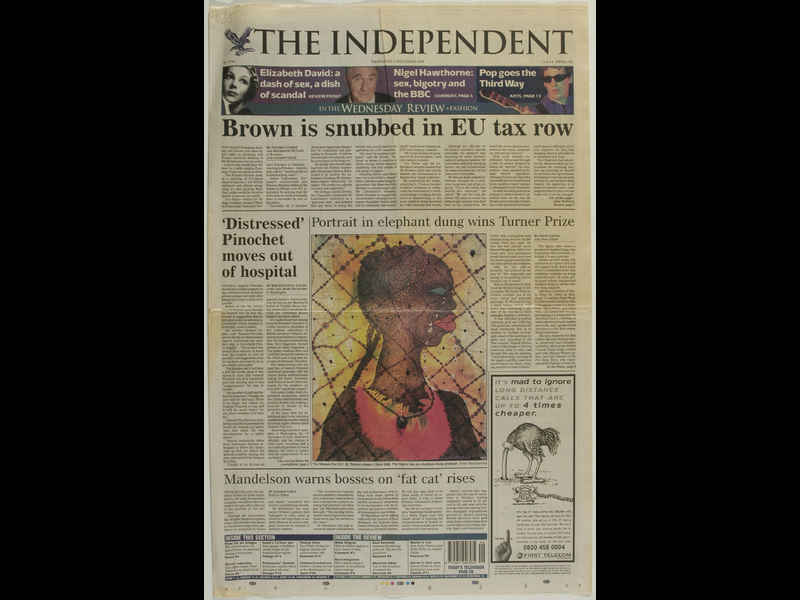 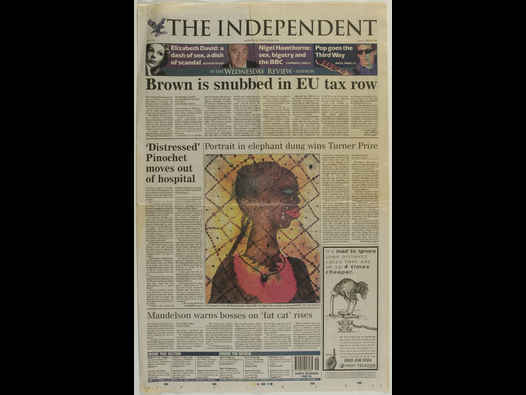 Original broadsheet clipping/monchrome type on newsprint wth full colour illustrations/article written in relation to the Turner Prize nominations of 1998 and the exhibition that accompanies the prize. 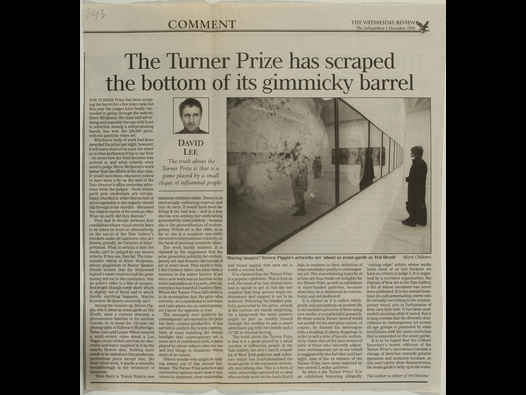 subtitle: for the first time in its history, the Turner Prize feels like a proper show. Even if they do still pretend that it’s an art award. 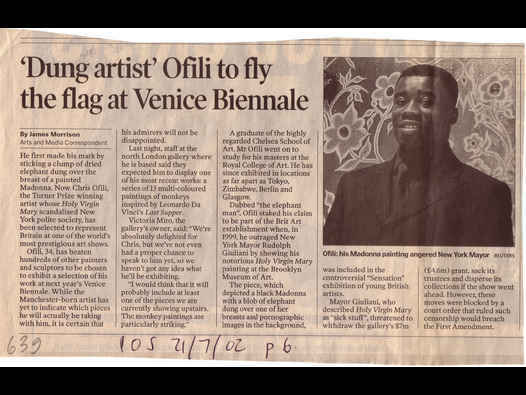 Article contains a number of photographic reproductions - with the following credits: Top: Atlantic by Sam Taylor Wood; then from left, Cogent Shuddering by Cathy de Monchaux, The Roaring Forties by Tacita Dean and Innervisions by Chris Ofili. 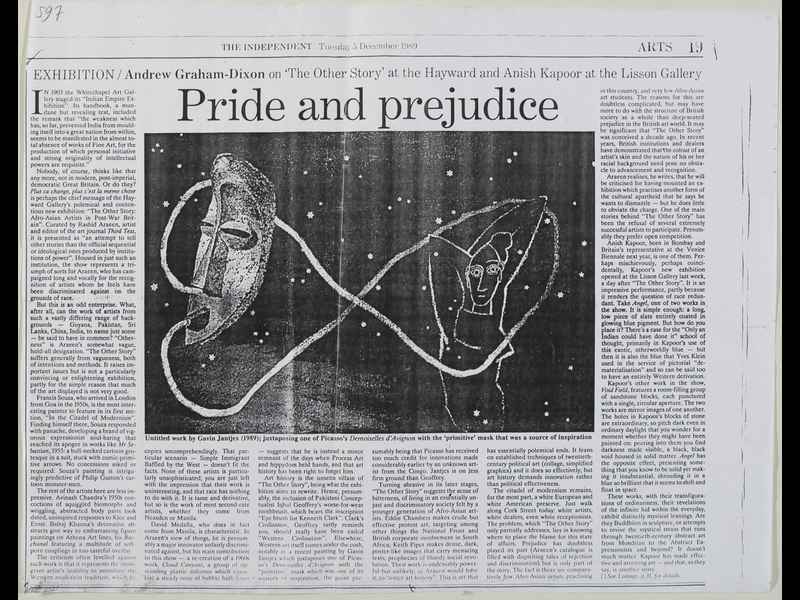 Original article (on front page of newspaper)/monochrome type with full colour image on newsprint/short announcement/statement precluding a full article within the paper. 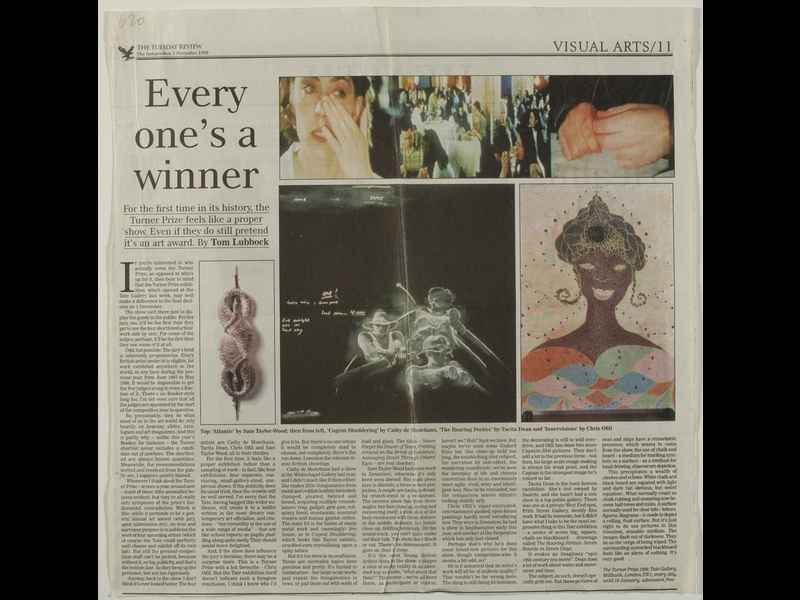 Original clipping from broadsheet newspaper/monochrome text and photograph on newsprint/review in relation to the winner of that year’s Turner Prize being announced the previous evening. 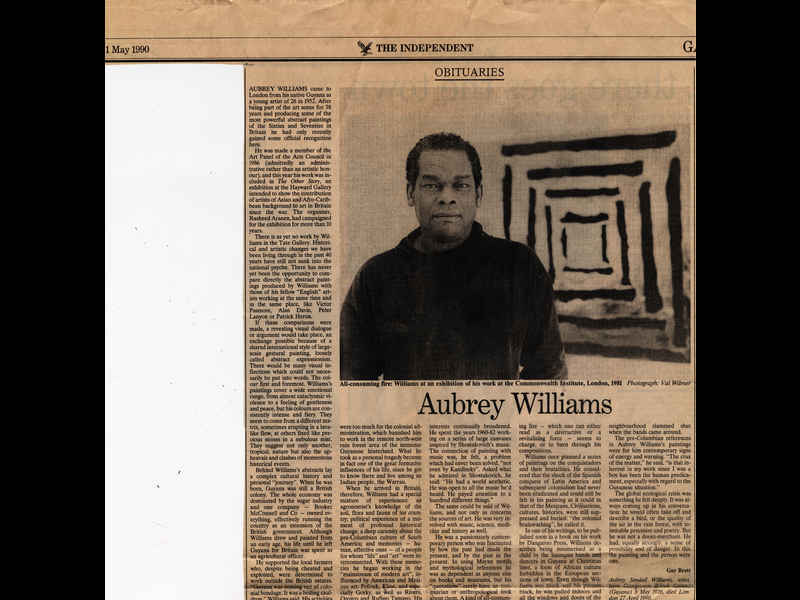 Substantial obituary on Aubrey Williams, that appeared in The Independent, Tuesday 1 May 1999, in the Gazette section. This is an original clipping, the page number is 15.